No doubt about it, it was an evening of stunning dance as the Houston Ballet opened its season with, “Return of the Masters,” last Thursday night at the Brown Theatre of the Wortham Center. 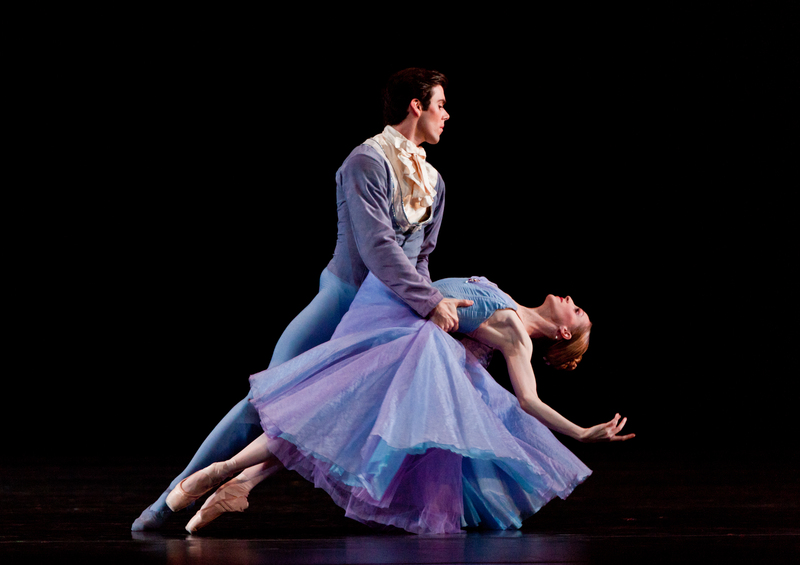 In part at least, the program offered one of the most exquisitely memorable ballet offerings that I have ever seen. I should begin with that sequence as it was the first ballet of the three on the bill, but I hope readers would bear with me as I feel the company erred in the ordering of its program. I will save best things for last, and truthfully, I wish Houston Ballet had done the same. Allow me then to describe the program in reverse order of presentation. parking lot elevator. “Mahler makes me so tired,” she said. “Too long, and too slow,” he replied. Perhaps that was why an enormous portion of the audience stood up rudely during the curtain call and headed for the exits. The ballet’s second offering, In the Night, was beautifully set to the music of Chopin’s Piano Nocturnes, Opus 27, No.1; Opus 55, Nos.1 and 2; and Opus 9, No.2. (Katherine Burkwall-Ciscon was pianist). Aptly described in the program as, “…portraying the relationships of three couples evoking moods ranging from romantic serenity to agitation and aggression,” the work featured the brilliant dance pairs of Sara Webb & Connor Walsh, Melissa Hough & Simon Ball, and Amy Fote & James Gotesky. Amid the soft lighting design of Jennifer Tipton (recreated here by Nicole Pearce), and with the airy and colorful costumes of designer, Anthony Dowell, all danced divinely. Finally, in the view of this critic, the piece de resistance for the evening was the marvelous 1937 ballet, Les Patineurs, choreographed by Sir Frederick Ashton, to the music of Giacomo Meyerbeer, with the original Constant Lambert arrangements and orchestrations conducted here for the Houston Ballet Orchestra by Ermanno Florio. 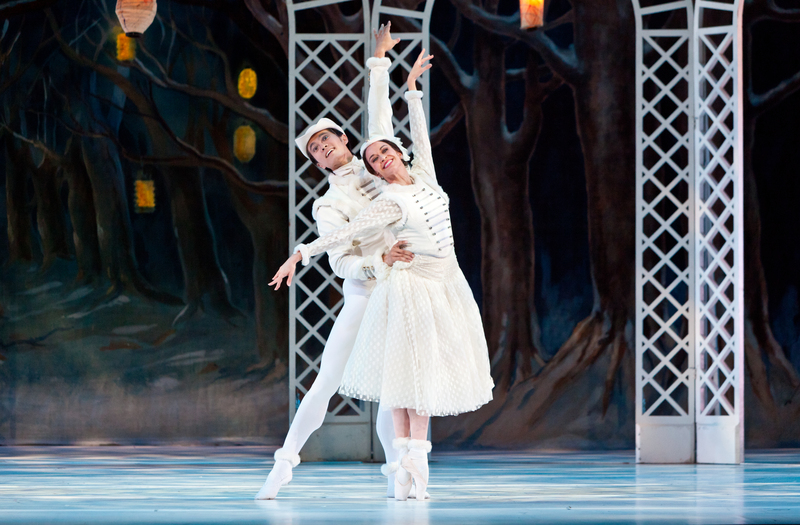 The charming scenic and colorful costume designs of William Chappell, the gay lighting designs of Christina R. Giannelli, and the magnificent staging of Hilary Cartwright all combined to capture a lovely winter scene surrounding an ice pond amid a snowy forest. 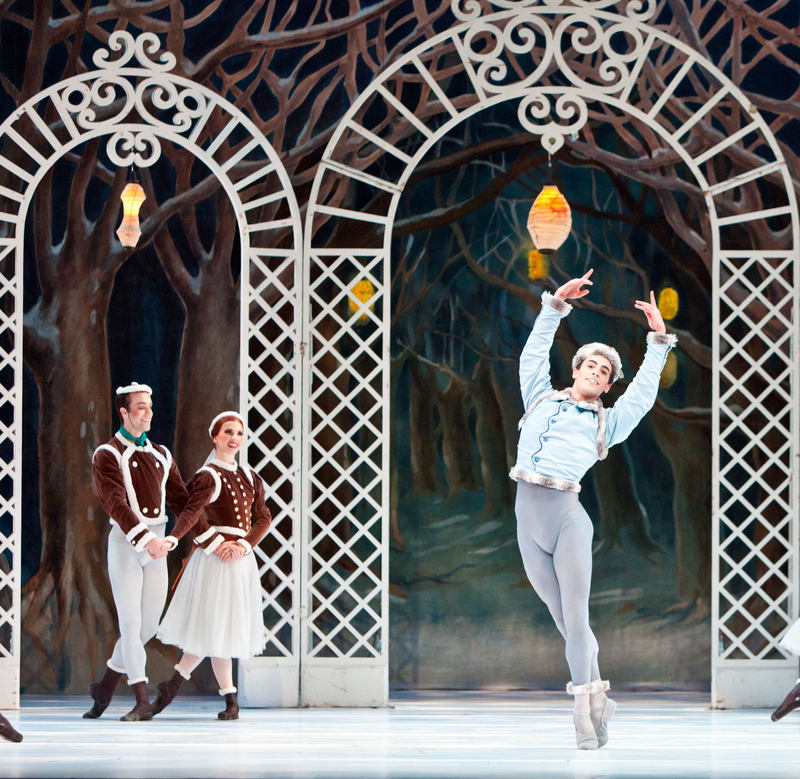 The resulting vision made this a picture perfect offering that will linger long in memory, and I would suggest the ballet become a holiday perennial right alongside The Nutcracker. Better still was the exquisite dancing of the members of this large cast in a ballet that depicts them all as ice skaters gliding on the pond. Joseph Walsh beamed with playful joy and a commanding talent in the central role of the skating Boy in Blue. Each of the several vignettes was a delight with Karina Gonzalez & Allison Miller portraying the Girls in Blue, Amy Fote & Jun Shuang Huang as The Lovers, and Kelly Meyernick & Jessica Collado as The Friends. A cheerful cast of four skating couples looked a bit like gaily decorated gingerbread cookies in their pretty rust brown costumes, and those dancers included Aria Alekzander, Madison Morris, Jordan Reed, Natalie Varnum, William Newton, Aaron Sharratt, Garrett Smith and Brian Waldrep. As a very convincing onstage snowstorm concluded the piece, the audience appeared to be beaming with joy as much as the talented performers. This was the big finish— or it should have been! This entry was posted in Concert Reviews, Dance Reviews, Miscellaneous Reviews and tagged Ballet, classical, concerts, Entertainment, Houston, music, Reviews, Texas, theatre. Bookmark the permalink.